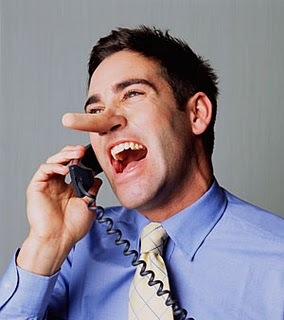 Chapter 14: Is Your Customer Lying To You? Your customer may not deliberately lie to you during the sales process, but it is quite possible that they are not telling the whole truth. This may be because they don’t know enough to give you the whole truth (Chapter 3), they think they are giving you the whole truth but are basing it on assumptions (Chapter 8 and Chapter 9), or believe that they cannot divulge all the information necessary to tell you the whole truth (we’ll cover this in future chapters). When words and actions conflict, believe the actions! As an example, let’s say we are trying to sell our prospect a new security video management system for their headquarters and outlying offices. In this example, the old system is only five years old and serves the headquarters well, but it uses older technology and retrieving video footage from the remote offices is difficult. New advantages in IP-based security cameras and video management software would make it much easier and more reliable to retrieve video footage from those outlying buildings, but the people at the main office would have to learn (and fund) a new security system. In each of these examples, the prospect’s words and actions conflict. Believe the actions! It is important to slow down the conversation and address these conflicts directly and professionally. You may at first feel uncomfortable about being so direct. However, to be a truly effective sales executive, you need to push not only yourself to be accurate, but also your prospect (Chapter 9). If you dance around difficult issues, you are wasting your time and your client’s time. What about less obvious warning signs? For example, what if a key stakeholder cancels the meeting, or part way through the sales process assigns the decision over to a subordinate? What if you get the feeling that even though you are following the Client Centric Sales process, you start to feel that you still aren’t getting anywhere with your prospect? How do you handle the prospect who keeps sneaking glances at her iPhone or watch? We’ll cover these next week in Chapter 15. 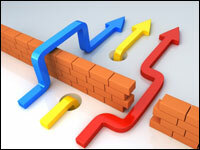 Chapter 13: Can You Displace Your Competitor? Yes is good, No is good, Maybe will kill you. We covered that in Chapter 11 and more in Chapter 12. There’s no doubt that Maybe is a dangerous word. Can you grab that marquis account from your toughest competitor? If you are trying to break into an account that is currently using a competitor’s product or service, you will, sometimes despite solid assurances from your prospect to the contrary, have a very steep uphill battle before you. But what if your product or service is clearly superior to the entrenched competitor’s product or service? What if it is so obvious that even a casual observer to the process can see that your solution is a no-brainer? It has always amazed me how over the years I have seen great effort expended in the pursuit of a new client, only to see it all fall apart at the end, leaving everyone scratching their heads wondering what happened. I remember one large company who was very frustrated with one of their technology suppliers. This wasn’t just a quiet grudge – high level executives flew in to justify why they should be kept on as a supplier. Promises were made, promises were broken, and the cycle repeated itself over and over. When it was time for a major overhaul of the client’s system, many companies came knocking on the door, offering a better system at a better price. Thousands of man-hours were spent to land this Fortune 50 account, because everyone assumed (Chapter 8) that the customer had reached such a boiling point that they would finally throw out the competitor. But in the end, the client stayed with their existing supplier and system, even though they stated that they knew they would continue to have major problems. Why would a buyer do this? How could they justify their decision? If you remember from our discussion of personality quadrants (Chapter 11), there are four basic personality traits, and an infinite combination of these four traits. Different people will make decisions for different reasons, but in the case of the example above, the client was a plodding administrator who chose to go with the safe decision. We have all heard the old phrase, “You can’t get fired by hiring IBM,” and even though this was a progressive global technology company, the decision to stay the course was made out of fear and uncertainty. 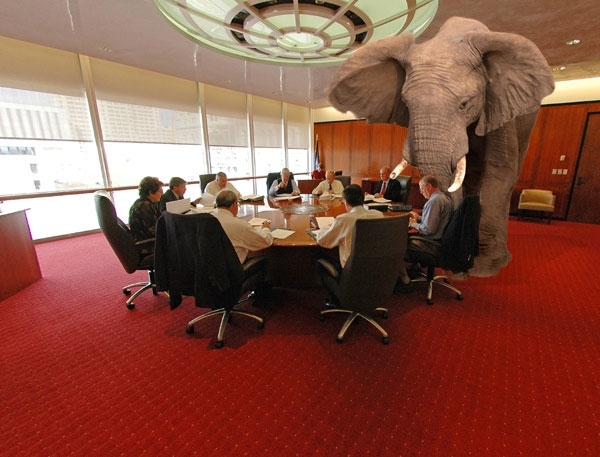 There’s that elephant again…he’s not going anywhere until you address him! This is a Maybe. How much lower do you need to be? Why does it need to be lower? Can it be quantified, or is it just a gut feel by one person who only thinks about price instead of cost and value? If you can get this answer quantified, you will be able to move on if it is a Yes or form a strategy to deal with it if it is a No. For you, this is either a Yes or No. Either is good, as it is definitive. If the answer is Yes, you can move on to other questions that will help you build your compelling case for change. If your answer is No, like the pricing example above, you can form a strategy to deal with this issue. Often, the prospect’s scorecard is measuring irrelevant things that don’t really apply to achieving a successful solution. Asking up front what you need to do to be compelling to your prospect will help you not only form a strategy, it may help you complete your qualification process by deciding that pursuing this customer is not a good use of your time. Walking away from a prospect is the ultimate No. But if you believe as I do, a No is good. The good news is that if you finally reach that ultimate No, you then become free to pursue a prospect that is a better fit for your product or service, instead of being stuck in the purgatory of Maybe.